The NBCNews.com went live overnight and users around the world have had a chance to explore the site and, judging by the feedback posted to the NBC News Facebook page, it’s not a hit. Users have been posting their thoughts on the redesign on the somewhat hidden “posts by others” tab on the network’s homepage. 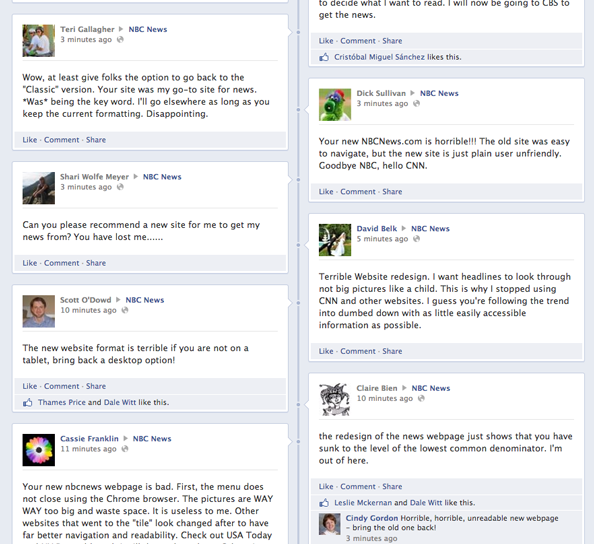 NBC News has declined to comment on the feedback the new site is receiving.